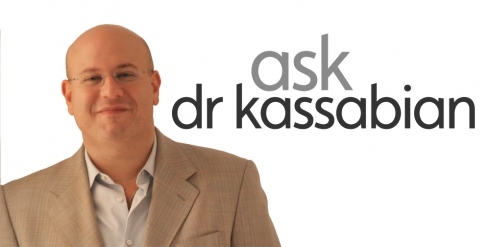 Ask Dr. K: How Do I Avoid Scarring After Surgery? My patients are typically very concerned about the amount of scarring that may occur after a procedure, if they have never had one done with me before. As a double-board certified surgeon and with my expertise and post-surgical care regimens combined, we can drastically minimize scarring. – I make sure the incision is closed in multiple layers with the tension being placed on the deeper, stronger layers creating less tension on the skin itself allowing the skin to heal optimally. – Use steri-strip tape on the scar for the first weeks during initial healing. – The use of Pre/ Post Surgery Vitamins can play a critical role in preparing your body for surgery, minimize swelling & bruising, and for optimal healing. – Laser treatments can be used to resurface the area, which decreases and softens scar tissue. – The use of special creams, lotions or ointments that contain onion extract (Mederma), Retin-A, topical vitamins E and C, Emu Oil and Glycolic Acids as their active ingredients. Although many people use these products, their effectiveness is still unproven. -If there is still prominent scaring after all these steps, we can inject it with Kenalog. Rarely, people with prominent keloid scars may decide to undergo radiation therapy. There are no side effects to this and address only cosmetic issues. – The use of medical tattooing, needles to inject pigment to camouflage and can help reduce the appearance of your scar. – A viable option is scar revision surgery if prominent scars persist despite conservative topical treatments. This option should be discussed with your surgeon. – Who is more susceptible to scars (darker skin tends to keloid and certain ethnicities may scar more easily) and educate the patient. – Schedule regular follow ups after surgery to be ready to intervene in case the scarring becomes prominent. If I have not answered your question, please feel free to let me know, I am here to help.